At our Painesville family dental practice, we’ve been keeping smiles healthy since 1969! We want you and your family to feel welcome and comfortable from the moment you enter our office. Our staff is so friendly that we know you’ll feel right at home. We can schedule you and all your family members for preventive, cosmetic, and restorative dentistry. And, if your teeth need restorations, we can create and place CEREC crowns in just one visit to Painesville Dental Group. 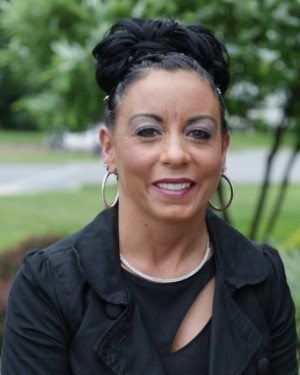 Laurie has over 25 years of experience in the management field, and her certifications in medical assisting and management help keep the practice running very smoothly. 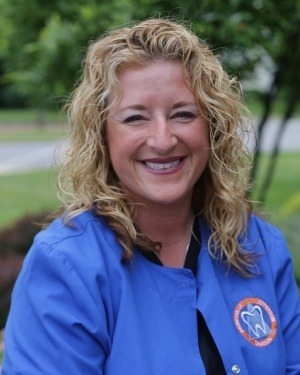 She enjoys working closely with the dentists and other dedicated staff members and strongly believes that we will always deliver quality dental care with integrity! Her affinity for working with people and staying organized make her a great fit for this position. Outside of work, Laurie enjoys reading, sewing, quilting, camping, and spending quality time with her one son and 11 wonderful grandchildren. Victoria has been a member of our dental team for an amazing 28 years so far, and her favorite parts have been working with such a great staff and meeting so many wonderful patients. Originally from Shelby, she has been a “Painesville person” since the sixth grade. She has earned several credits from Lakeland Community College. Outside of work, Victoria has a grown daughter, a son-in-law, a granddog, and two brothers. Her hobbies include baking, practicing photography, and curling up with a good book, particularly while sitting in the sun. Her favorite kinds of books are cookbooks! 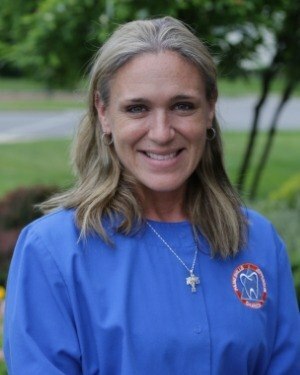 Joanna is from here in Painesville, and she’s been working in the dental field for an impressive 29 years so far. She earned her education at the Cleveland Institute of Medical & Dental Assistants. Her love of helping others makes her a great fit for this type of work, and she also enjoys spending time alongside such great people. Joanna is proud to have come from such a loving and supportive family. Her hobbies include reading gardening, and spending quality time with her loved ones. Mindy has been working in dentistry for 12 years so far. Originally from Ashtabula, she attended Kent State University and earned her oral healthcare education from the Cleveland Institute of Medical & Dental Assistants. Today, what’s most rewarding about her job is being able to make a patient’s day, whether through the treatment process itself or just interacting with them positively. At home, Mindy has two children named Jesse and Selena. Her hobbies include spending quality time with her family, traveling, biking, and hiking. She’s also passionate about an unlikely pair of interests – old school cars and shoes! Tiffany has been a member of our dental team for a decade now, and she particularly enjoys being able to educate patients about how to maintain excellent oral health for life. She attended both Kent State and the Lakeland Dental Hygiene program for her education. She is licensed in local anesthesia and the administration of nitrous oxide. Tiffany and her husband Jeremy have twin daughters named Emilia and Zoey. Outside of work, she is a HUGE Cleveland Indians fan (GO TRIBE!) and also enjoys running half marathons with Jeremy. Other hobbies include traveling, reading, and spending quality time with her family. She HATES pickles! Melanie helps keep smiles healthy and beautiful. Originally from Mentor, she now lives in Euclid, and she started with Painesville Dental Group in 2012. 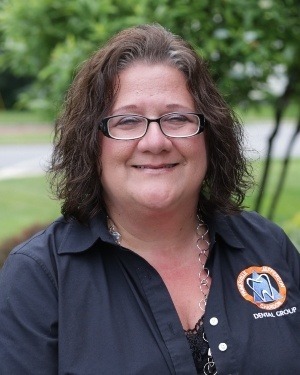 Melanie has an associate's degree in applied science and is certified in medical emergencies. She felt that she received a very warm welcome when she joined our practice, and she loves our patients. She always wanted to work in a field that allowed her to help people, and now, she gets to help our patients keep their smiles shining every day. She has a son and two cats, and she's always working on DIY home improvements. 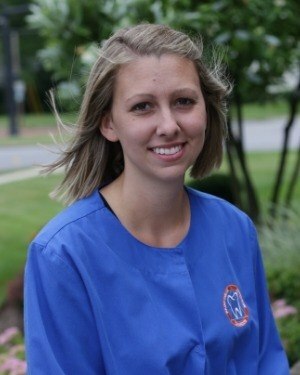 Courtney hails from Mentor, and she’s been a member of our dental team for a decade so far. She studied at Lakeland Community College and is licensed in nitrous oxide and local anesthesia. Being able to educate patients about the benefits of good oral health is always rewarding for her! Courtney and her husband Tomas have a dog named Zeus and a baby girl named Mila on the way soon. Her hobbies include hiking, biking, and spending quality time with family and friends. Amanda got started in the dental field around nine years ago, and she still loves getting to meet new people through her job. Originally from Conneaut, she studied at the Fortis Institute. At home, Amanda has a husband named John and two stepchildren named Riley and Emma. She loves watching movies and spoiling her furbabies (two cats and two dogs) when she isn’t busy at the office. Before her current career, she actually served as Active Duty Air Force for eight years! Blythe’s career in dentistry covers three years so far. She has a bachelor’s degree from Allegheny College and her dental hygiene license from Lakeland Community College. She is also certified in CPR and X-rays. 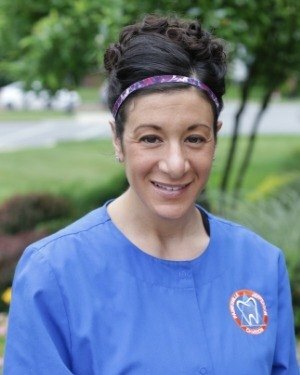 What she enjoys most about her job is being able to help patients improve their oral health. Blythe is from Lyndhurst and has been married for almost a decade. She has two daughters and one son at home. Whenever she has free time, she enjoys reading, hiking, and spending time outdoors with her family and friends. 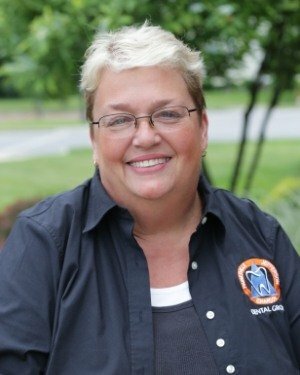 Before pursuing dental hygiene as a career, she also worked as a stay-at-home mom and an EMT on an ambulance. 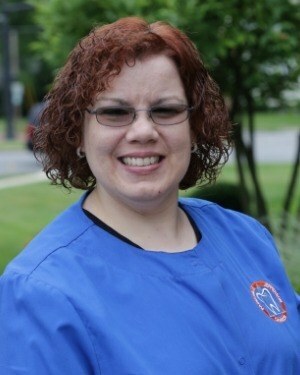 Leslie studied at both the Cleveland Institute of Medical & Dental Assistants and Case Western Reserve University. Today, her career spans over 16 years. As an EFDA, she is trained in duties beyond what a typical dental assistant is capable of, including placing restorations. She loves spending time with such amazing patients every day! Leslie comes from a small but wonderful family. Her interests outside of the dental world include NASCAR racing and cruising. You can always trust her to be very punctual. Caitlin recently graduated from the Cleveland Institute of Medical & Dental Assistants, and we’re glad to have her on the team! She enjoys being able to assist the doctors throughout her everyday work. Originally from Jefferson, Caitlin comes from a loving family that’s also very fun to be around. She spends her free time horseback riding, hanging out with friends, and camping. She is always willing to help anyone in need, no matter the situation! 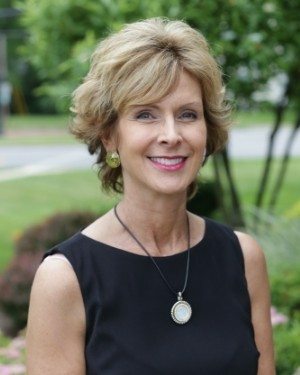 Susan may be relatively new to our dental practice, but her career in the oral healthcare field as a whole spans two decades. 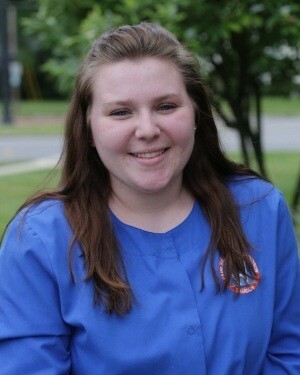 Originally from Concord, she studied at Auburn Career Center. She loves being able to change people’s smiles through her work! Susan’s family consists of three generations of girls – her mom, her daughter, and herself! She also has a dog. When she isn’t busy at the practice, she spends her time with her daughter and other loved ones. 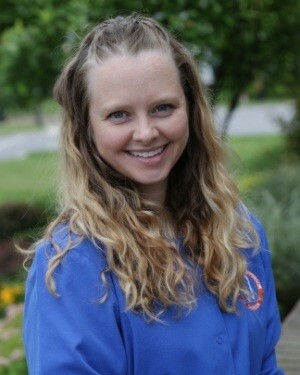 She has a true passion for working with adults and kids and particularly teaching kids to swim. She works at the YMCA in Painesville in addition to her dental career. 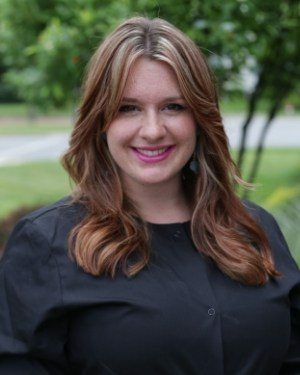 Nicole’s career in the dental field covers six years and counting. Originally from Geneva, she attended Lakeland Community College for her education. When asked what her favorite part of this job is, the answer is easy – her patients! Nicole comes from a very loving family, and she enjoys crafting and gardening in her spare time.